Book your SIGNATURE EVENT now! NOW taking wedding, banquet, & special affair reservations! Click here for WEDDING INFO! 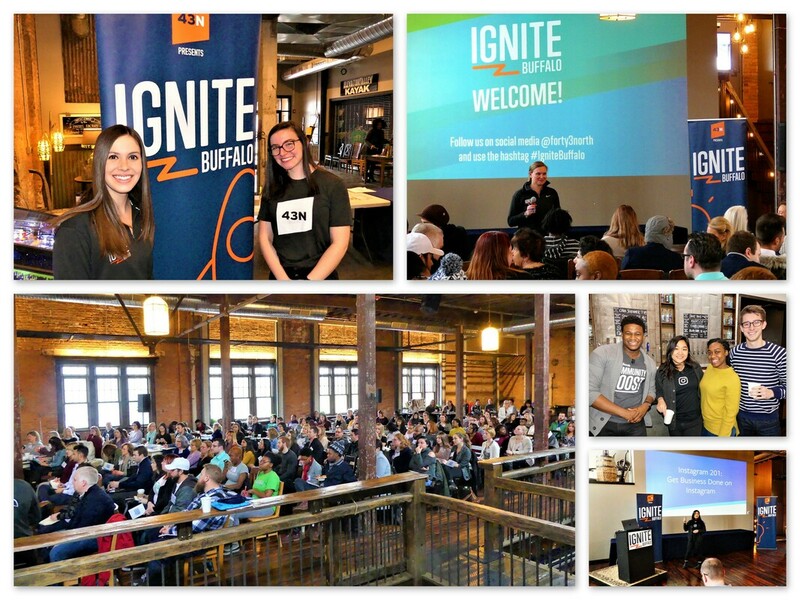 sponsored by Yelp's Buffalo region! 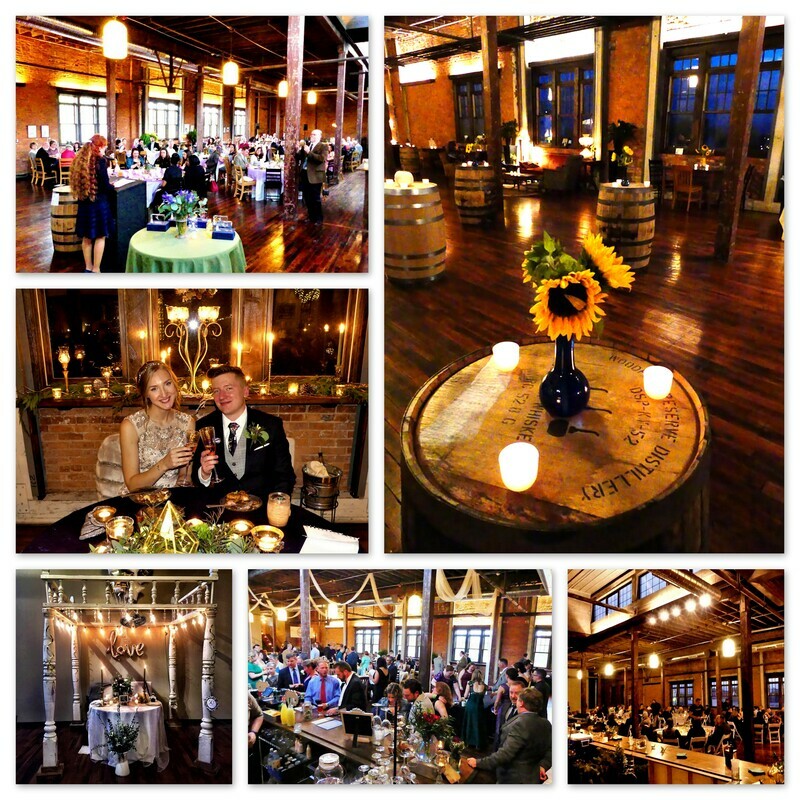 Tne original hard maple factory floor & two large cupolas highlight the Event Center! Final work has now been completed on the new Lakeward Spirits Event Center, located on the 2nd floor of The Barrel Factory. 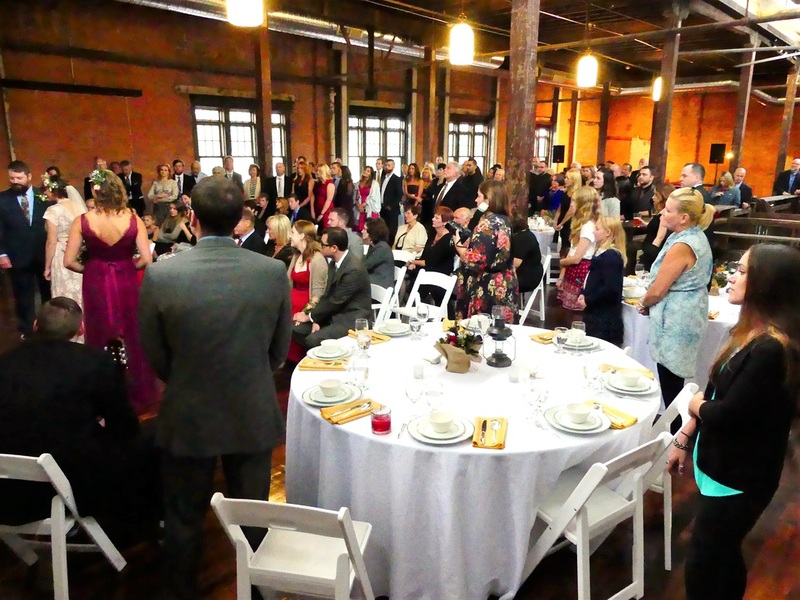 The signature space is providing a special venue for banquets, meetings, weddings, and other festivities in the newly-restored, 116-year old factory located in Buffalo's historic Old First Ward. 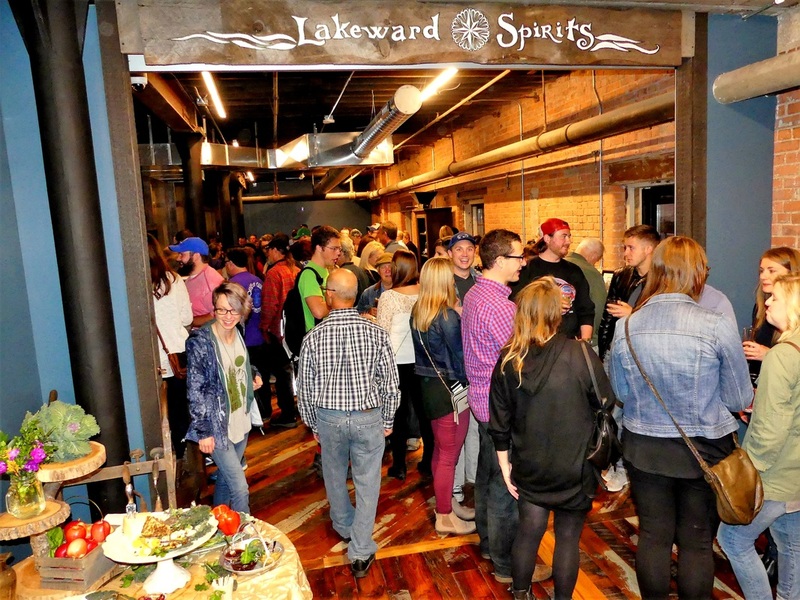 Lakeward Spirits is The Barrel Factory's anchor tenant, and its craft distillery operations along with its Tasting Room & Factory Store are located on the redeveloped factory's main floor below the Event Center. Delaware North's global executive staff in the Lakeward Spirits Event Center! 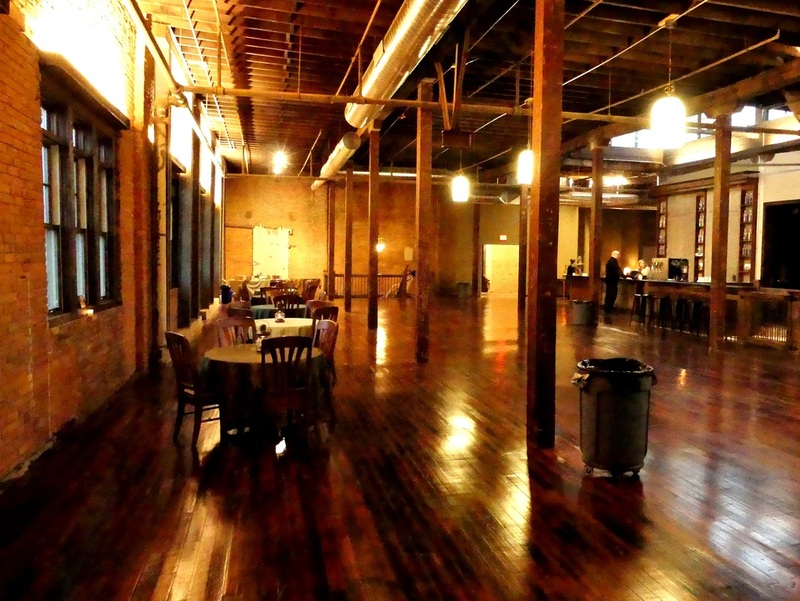 T​he Event Center features the newly-restored, original hard maple factory floor. Extensive renovations on the floor were required due to heavy water damage from years of roof leaks. New, energy-efficient, insulated windows. All of the original windows had been bricked-up or covered over many decades ago. Two large, newly-restored cupolas with new, operable clerestory windows, providing additional light, ventilation, and energy efficiency. LED accent lighting in cupolas. A large, 14' ceiling fan mounted between the cupolas for more energy conservation. Two new floor cut-outs located directly below the cupolas, which provide overlooks in the event Center to the distillery operations below on the main floor. These openings also enhance energy-efficiency, & feature reclaimed wood railings. Original architectural components from the 116-year-old factory. New elevator from both the main lobby and the Lakeward Spirits Tasting Room to the Event Center. New, open stairway to the Event Center made from reclaimed wood. Custom bar area featuring reclaimed factory fire doors. View-able Lakeward Spirits whiskey barrel storage room (no entry). 1920 W.J. Whitarce bronze light fixture with centurions & horses. Period antiques & elegant custom decor by Andrea. New catering kitchen by house caterer Buffalo's Best Grill & Cucina. ​For more information on the Event Center, please email: events@LakewardSpirits.com. 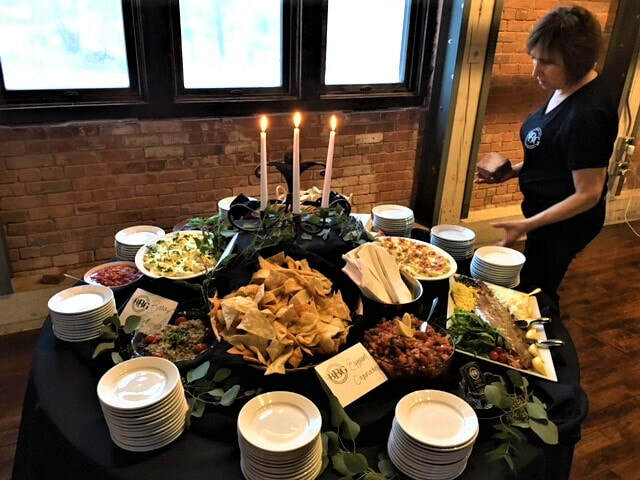 The Lakeward Spirits Event Center hosted the 2019 Yelpie Awards, sponsored by Yelp's Buffalo region. Catering by Buffalo's Best Grill & Cucina! This was my parents 50th Wedding Anniversary party. If you are thinking of having an event somewhere, look no further!!!! 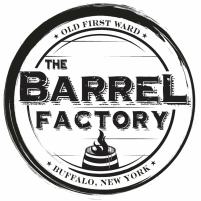 You CANNOT and WILL NOT find a more beautiful venue with a more helpful staff than at the Barrel Factory/Lakeward Spirits!! 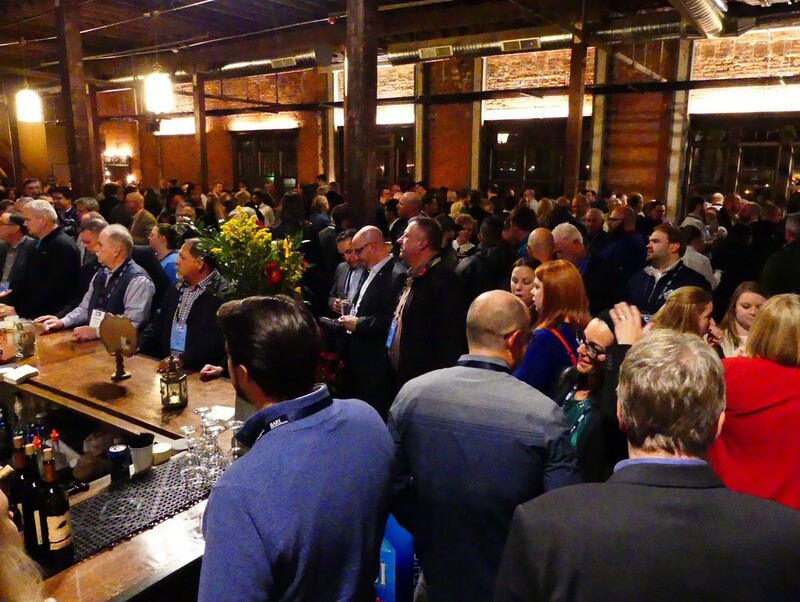 Our guests could not stop talking about how wonderful it was with all of the exposed brick and original wood beams and woodwork, not to mention all the natural sunlight that filters in and the views of the grain mills. Gorgeous!!! THANK YOU! 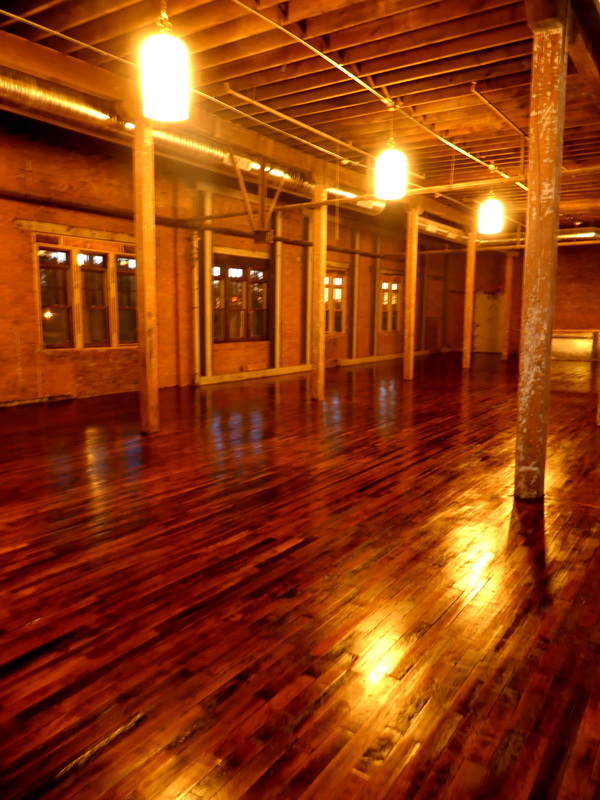 !​ - K. H. K.
This pic highlights the newly restored, original hard maple factory floor in the Event Center! ​The “great hall” loosely reminded me of the old Park Lane restaurant that was demolished (for what reason?) a number of years back. Remember that feeling when you walked into the large dining room? You just don’t come across these impressive old spaces anymore – they are usually built with too much drywall and don’t retain enough original wood and brick. In this case, the opposite is true. This place is very comforting in its raw state." - Buffalo Rising​, August 29, 2016, from "Raise a Glass to The Barrel Factory"
A look inside the "great hall" in the Event Center! Below, pics of the Event Center while under restoration! ​This was such an amazing place to get married at and share our special day! Highly recommended for any occasion you have." 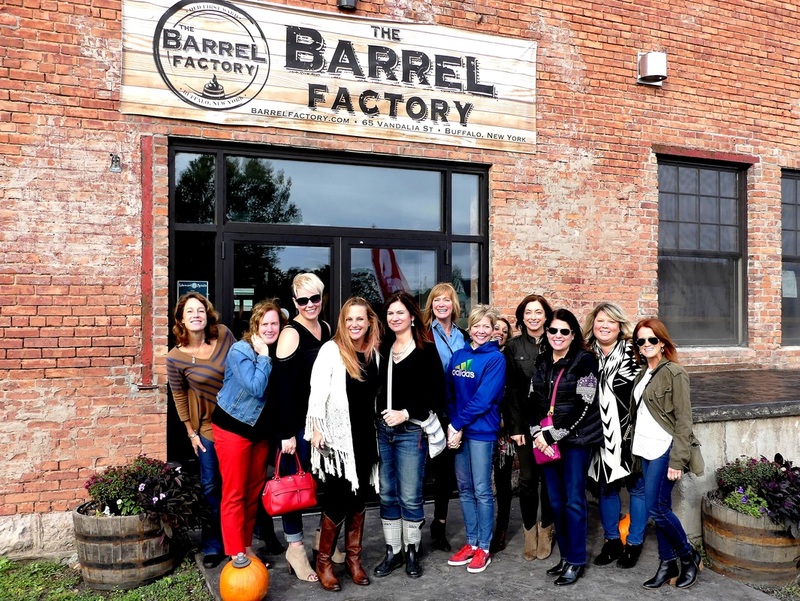 - Melissa C.
Buffalo's newest and largest craft distillery with a Tasting Room and Store, outdoor patio, plus distillery tours and a new Event Center! A friendly place with extensive, creative use of reclaimed materials and unique architectural features with a strong focus on sustainability! Snowy Owl Kombucha, the Elevator Alley Kayak store, Pressure Drop Brewing, and a new restaurant & winery coming soon!